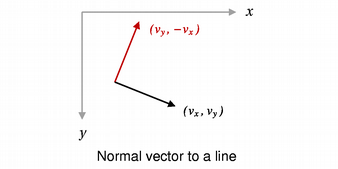 The line's length can be retrieved using the length() function, and altered using the setLength() function. Use the isNull() function to determine whether the QLineF represents a valid line or a null line. 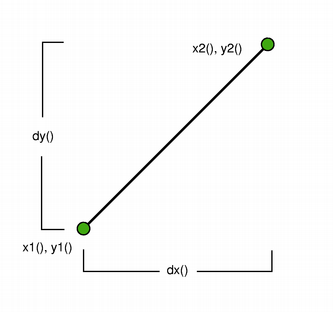 Returns the angle (in degrees) between this line and the given line, taking the direction of the lines into account. 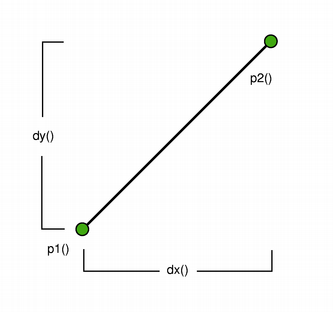 If the lines do not intersect within their range, it is the intersection point of the extended lines that serves as origo (see QLineF::UnboundedIntersection). When the lines are parallel, this function returns 0 if they have the same direction; otherwise it returns 180. Sets the length of the line to the given length. If the line is a null line, the length will remain zero regardless of the length specified.